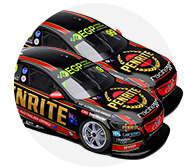 Erebus Motorsport's defending Great Race winner David Reynolds led rookie team-mate Anton De Pasquale in final practice for the 2018 Supercheap Auto Bathurst 1000. Reynolds turned a 2:04.4072s to finish 0.2377 seconds ahead of De Pasquale for the Penrite Holden squad, the latter having pipped Cameron Waters after the flag. Red Bull Holden pair Shane van Gisbergen and Jamie Whincup were seventh and 11th, while Scott McLaughlin had a near miss on his way to 12th. The hour-long Practice 6 was run in the weekend's best weather thus far, with dry and sunny conditions. It featured a series of single-lap fliers as drivers prepare for this afternoon's ARMOR ALL Top 10 Shootout. Tickford's only representative in the Shootout, Waters set the initial benchmark, a 2:04.8494s in his Monster Ford. The session was red-flagged 12 minutes in, when Ash Walsh nosed Brad Jones Racing's Freightliner Commodore into the tyres at Forrest's Elbow. At that stage, Waters led Reynolds by just 0.0878s, from Whincup's co-driver Paul Dumbrell, James Golding and Chaz Mostert. Reynolds grabbed top spot nearing the halfway mark with a 2:04.4072s, before the red flags flew again. Walsh's partner Tim Slade was the culprit this time, off at Hell Corner. More Shootout simulations followed after the restart, but Reynolds - teamed with Luke Youlden - wasn't bettered. “I woke up this morning at like 10 to 4 doing qualifying laps in my head, so I’m a little bit tired," Reynolds said. “I did a [two-minute] 3.7 or 3.6 [in my dream], but I only did a 4.4 then, so I’m hopeless! It’s all in my dreams. “We’ve got a lot of stuff on before the Shootout, but I’ll just try and relax, get anxiety and think about the one lap I’ve got to do. “The tyres I was on then were from the start of the year, so they were probably a little bit harder, they weren’t quite there the whole lap. 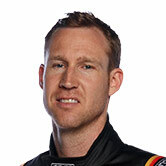 Both Erebus drivers will be in the Shootout, in De Pasquale's maiden Great Race. The 22-year-old displaced Waters after the chequered flag had come out, with a 2:04.6449s. “I’m getting more comfortable with every lap I do,” he said. Waters grazed the wall through Sulman Park trying to improve late but ultimately had to settle for third. “It’s alright, you’ve got to go close to them (the walls). If you go close you don’t hit them as hard,” he said. 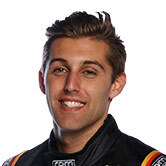 Nick Percat, Chaz Mostert and James Courtney filled fourth to sixth, ahead of van Gisbergen. The championship leader's co-driver Earl Bamber had a run wide at The Chase during his earlier stint. 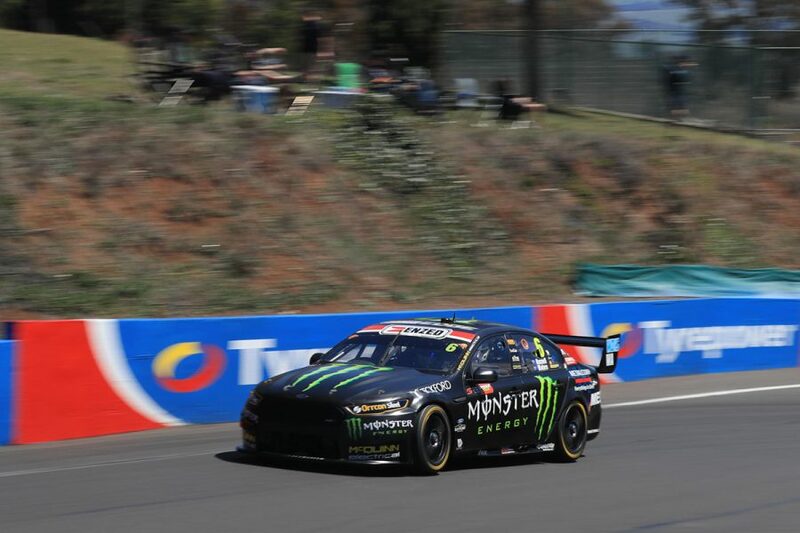 Garth Tander, Richie Stanaway - who had a run-in with Tim Blanchard coming down the Mountain - and Scott Pye rounded out the top 10. 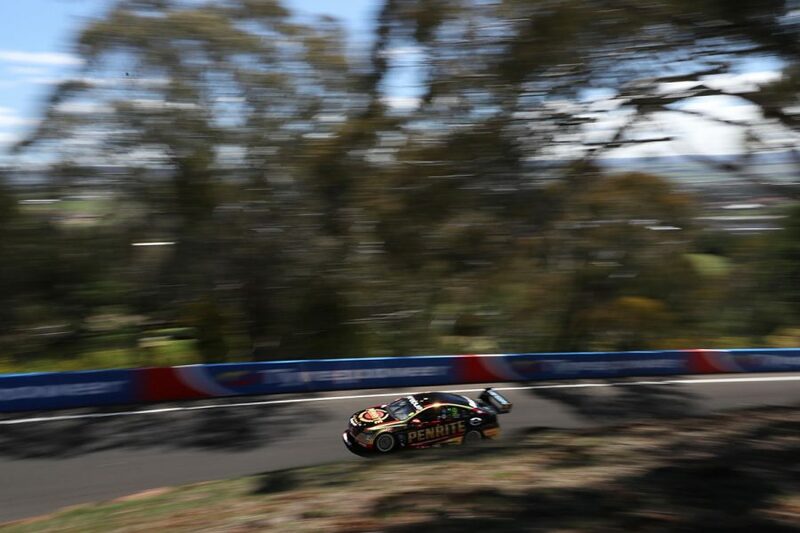 Provisional polesitter Whincup overshot Murray's Corner in a late attempt to improve on 11th. That left him one spot ahead of McLaughlin, who had a wild moment exiting The Cutting with four minutes remaining and narrowly avoided tagging the wall. It curtailed a possible Shootout simulation, with Alex Premat earlier having a spin exiting Murray's Corner in the #17 Shell Ford. “I thought I was in to be honest. More arse than class saving that one,” McLaughlin said of his moment. "I just got caught up, I was trying to change the brake bias and on the bump I was just a bit wider than I wanted to be and it took off on me. “Everyone says you have a moment once or twice all weekend, so hopefully that’s one of them. “I wouldn’t say I was over-pushing, I just got caught up on that bump and if you’re off-line by a tyre width you’re gone. Triple Eight had yet more steering problems in its Craig Lowndes/Steven Richards Commodore. It changed another steering rack, with Lowndes setting the 16th-fastest time late. The best of the Nissans was Rick Kelly/Garry Jacobson Altima in 14th, with Michael Caruso/Dean Fiore 17th after another overnight engine change. Preston Hire Racing's torrid weekend continued with a transaxle failure on the Lee Holdsworth/Jason Bright Commodore, leaving it 23rd. The ARMOR ALL Top 10 Shootout stars at 5:10pm. Tander will be the first away, followed by De Pasquale, Percat, Waters, Lowndes, Courtney, van Gisbergen, McLaughlin, Reynolds and Whincup.